IthacaOwners.com • View topic - What do you drive? Some where some time back I read in a magazine the some type of survey had been done at some point. The survey found that Remington fans tended to favor Ford products and Winchester guys tended to favor Chevy. I have noticed Fords mentioned from time to time in Ithaca gun forums as well as in the back ground of some pictures. My question is what does the typical Ithaca fan drive. I myself favor Fords and have a F250 that I plow snow with and a F150 that is used daily. I drove a Ford F-350 Diesel until the cost of fuel nearly bankrupted me, so I traded it in for a Ford F-150. Rover 90's are off the charts in the "cool scale". Right now I am driving a Dodge. I have always liked Mopar products. However that might change when it comes time to get a new truck. Yes Range Rovers are cool. Not only was it the first sport utility vehicle they really changed the market from Africa to America. Does England have a vehicle that is similar to an American pick up truck? Actually I have a foot in both the Ford and Chevy world. I have a 4x4 extended cab Ranger and a Duramax diesel crew cab 4x4. The diesel is mostly for pulling the travel trailer. OK Here goes.. I am an Ithaca collector and a Winchester collector. I have a dairy farm so I have three Ford pick-ups Two F-350s and a F-250. 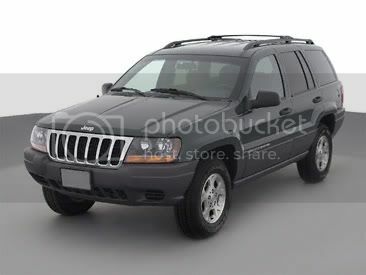 My wife and I's cars are Mopars (Magnum,Charger, and Crossfire) and we have a Jeep Grand Cherokee (Diesel). I never liked Chevys. I guess that makes me a little different. Duh I knew that!! Donald. I'm a bit partial to Fords. Had an old van while I was in college, and that sold most of our family on them - my Dad bought 2 before he died. But I can carry 4 KY longrifles in the racks in the back! I have a deisel F350 service truck & GMC 3500 gas. Bought a 2011 Toyota Tundra to try something different & really like the truck, fast & comfy. Only reason it's been been back to dealer is for free oil changes & rotate tires. Funny, I guess I'm predictable. I drive a Ford F150 (always drive Fords) and, in addition to having an affinity for Ithacas, I'm also very partial to Remington firearms. But I'll always have a 4 wheel drive pickup truck... just do to many things that require one. I am probably the weirdo here. I have many vehicles from BMW to Volvo... with one GM truck (1500 Z71) and two Fords (F150 and F350 Diesel) in between. The BMWs are all grey market imports from the mid '80s when the DM was worthless, a few Mercedes Benz Diesels too. Oldest Benz is a '68. The Volvo is a wagon. FWIW I own a Remington shotgun around here somewhere also a Mossberg. Also have an old .30-30 my grandfather left to me. Guess I skew the polling. Hit Man X wrote: I am probably the weirdo here. I have many vehicles from BMW to Volvo... with one GM truck (1500 Z71) and two Fords (F150 and F350 Diesel) in between. The BMWs are all grey market imports from the mid '80s when the DM was worthless, a few Mercedes Benz Diesels too. Oldest Benz is a '68. The Volvo is a wagon. A friend of mine did the same thing back in the 80's. Don't you find today's crap gas mess the heck out of your German spec BMW's? Hello, even though I'm still a newby here I thought I would chime in on this thread. I currently have 3 Dodge trucks (2 68's and a 2000) my other truck is a Ford. my daily cruiser is a Dodge car and the wife drives a VW. I'm more familiar with chevy from my days tinkering with hot rods. there is no more versatile engine then a small block V8,dependable,cheap ,easy to work on and easy to find an acceptable part for. again durable ,dependable ,easy enough to work on .but more costly and part specific.